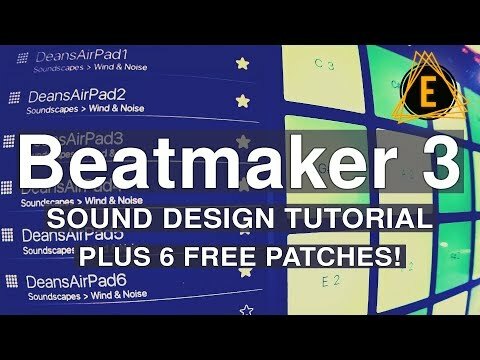 New sound design tutorial and free patches from Dean - "Air Pads"
It also comes with 6 free patches! You forgot to mention "it's from Dean Daughters" which therefore means it's obviously going to be fricking awesome! Great video Dean! And thanks for the free treats! I don’t suppose you’ve got anything brewing for this month’s battle @DeanDaughters ?? Sorry, @tk32 - that's a no on this month's battle for me. For the most part, if the rules include sampling copy written material, i'm usually out, because it can be limiting to what you can do with the track in the end imho. I want to be able to freely release or distribute it when i'm done without ever worrying even for one second that I've used samples that could ever potentially be even a tiny issue - in any possible way, shape or form - down the road. Totally respect your integrity in regards to the usage of copy written material. I personally decided to bend them a little in regards to the BM3 heats. permission though it can be quite arduous doing so. A thought for future usage of copy written material in regards to BM3. It can give exposure for both BM3 users and the record labels themselves. Looking forward to having a listen to your new sounds.